Two exceptional artists, singers, sisters, joined a unique musical project in 2008. IDA KELAROVÁ sings exclusively gipsy music and IVA BITTOVÁ produces alternative and classical music. Now they met for the first time to create together concert project where they sing only jazz songs, although they did not sing jazz before and they have no experience with it. Jazz became an imaginary country where their voices and original musical styles merged to create music, full of their own feelings and the distinctive interpretation of world-famous hits of the golden era of jazz. 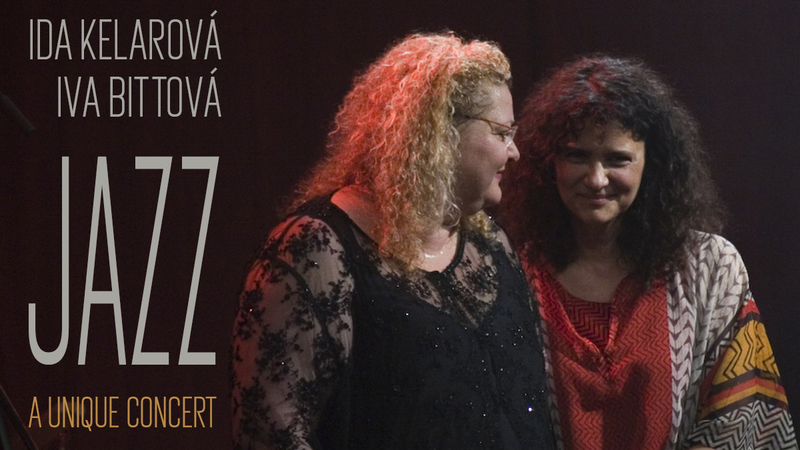 Together, they selected the repertoire, guests from the top Czech and Slovakian jazz musicians and then performed jazz in a original, non-traditional way in a sold out prestigious Prague concert hall, Lucerna. The dark voice of the Kelarova alternated with the Crystal voice of the Bittova, the songs of the singer enriched the elements of soul, alternative and classical music. This was an exclusive, musical event of two leading Czech musicians with international reputation. The concert was retrofitted with its design and atmosphere and was also a reminder of the golden times of the Lucerna Hall. Over the past 20 years, no jazz concert has sold this hall. This was done by the sisters Ida and Iva with the jazz formation of Jazz Famelija and their guests. Concert was accompanied by Jazz Famelija trio: Ondřej Krajňák – piano (SK), Marián Ševčík – drums (SK) and Tomáš Baroš – double bass (Czech Republic). As guest in the compositions, Ivan Herák – violin (SK), Radovan Tariška – saxophone (SK), Julius Baroš – trumpet (Czech Republic), Miloš Dvořáček – percussion (Czech Republic), David Dorůžka – guitar (Lamborgini string quartet) Czech Republic) and the vocal trio Desideria Duždy (Czech Republic). Special guest of the concert was one of the most acclaimed bassists in the world, Mr. George Mraz of New York. An interesting concert was the fact that most of the performing musicians were of gipsy origin. The concert took place under the auspices of the wife of the President of the Czech Republic Mrs. Lívia Kalusová and the Mayor of the City of Prague.